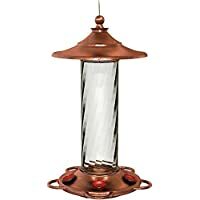 If you’ve never had a hummingbird feeder, you’ve missed a great addition to your backyard. Children love to watch them, and to be honest, they can be a lot of fun for adults, too! 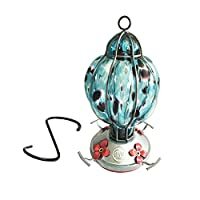 There are many different brands of backyard hummingbird feeders on the market, as well as a variety of different food mixes. Here’s how to choose the best hummingbird feeders for your hummers. 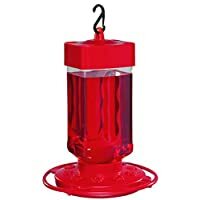 Aspects 367 Hummzinger Ultra Hummingbird Feeder, 12-Ounce There is really no difference between the different designs of feeders…at least, to hummingbirds. Therefore, it makes sense to get a design that’s easy to take apart for cleaning. This would tend to lead you away from the traditional “upside-down bottle” style of feeder, and toward one of the newer “basket-style” feeders. 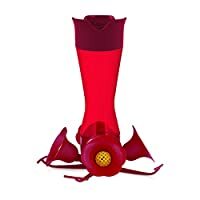 Does your feeder need perches for the hummingbirds? While hummingbirds are famous for their ability to hover in place, nature’s little feathery helicopters burn a lot of calories while hovering. They usually spend very little time at each flower as they flit around, but your feeder will be an “all you can gulp” buffet. If possible, let them take a load off and enjoy their meal! Here are some great ideas of glass feeders with perches. You don’t have to put red food coloring in your sugar water! This is something that’s considered necessary by some, but it makes absolutely no difference to your supersonic visitors; in fact, there is some concern that food coloring can actually harm hummingbirds! Remember the Golden Hummingbird Rule: clear is best! 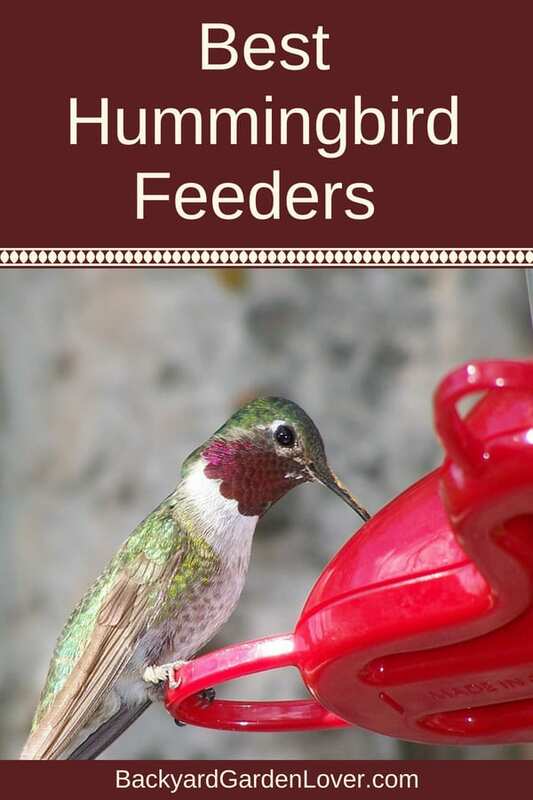 Gardens and flower beds are a great spot to hang your first feeder; chances are, hummingbirds were already visiting those areas, so finding your new feeder will be a snap for them. After they get used to this new food source, you can move it to a different place in your backyard: near a window is a good place, so you can enjoy your new friends. 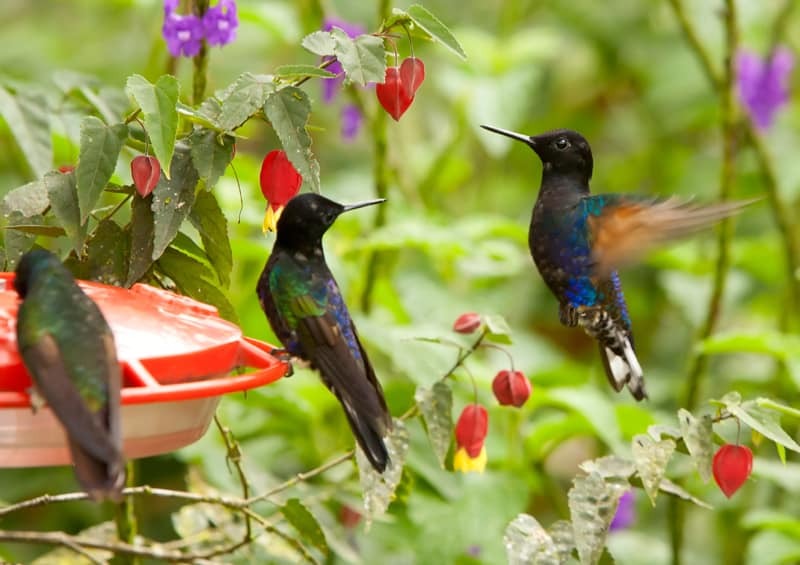 People like to share great new places to eat with their friends; hummingbirds, not so much. Hummingbirds tend to get very possessive when they find a good place to eat, and their territorial instincts will lead them to exhibit very aggressive behavior toward each other. They’ll push, shove and occasionally dive-bomb each other near your feeder; don’t worry, though…this is natural. If your new feeder gets too crowded, it might be time to add another. 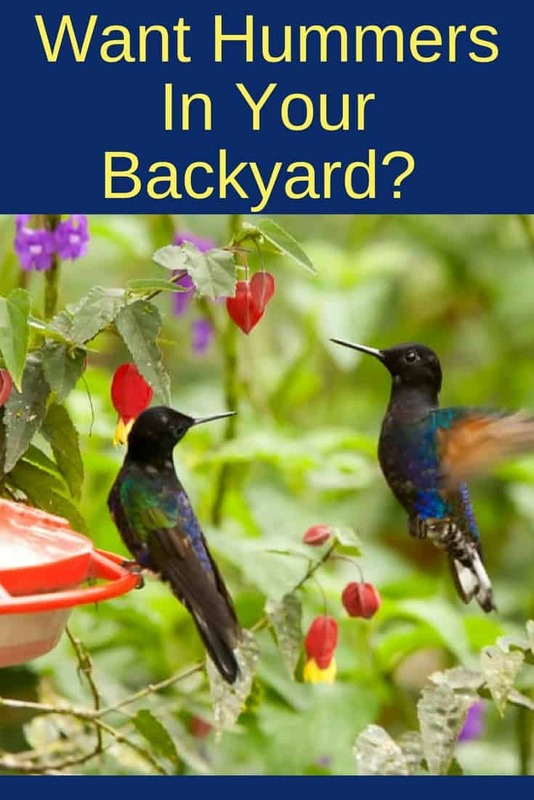 Once you’ve had a hummingbird feeder in your backyard, you’ll wonder why you didn’t have one sooner! 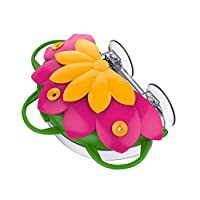 For some of the Best Hummingbird Feeders, check out Amazon.com. They have a great selection, and lots of reviews by other bird lovers just like you. Do you love watching birds? I suggest you attract some cardinals to your garden. They are gorgeous! I have 3 feeders and do not add dye to them. I have hummingbirds from early morning until dusk. The red dye is terrible for them. If you want to make the nectar red use cherry juice! Candice, I’ve read many books about how to feed hunmingbirds & they all agree only use white sugar no artificial sweeteners & water. 1/4 cup sugar to 8 ounces water & not to add anything else no cherry juice, red food coloring or more sugar. I haven’t put color in my food for years and they are at it constantly. I put one cup of water and 1/4 cup of sugar and dissolve it well before putting it in the feeder. I read that the dye isn’t good for them and my babies love their clear food. Have4 feeders have never colored the feed. Have resident hummers here and travelers. Love these guys. Mostly Anna’s and Black chinned. Had a Rufus once. Cool! We have only Ruby throated. No variety! 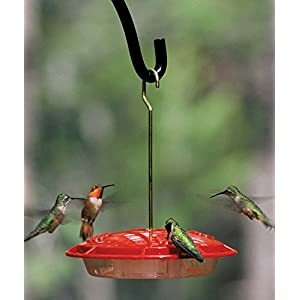 We have 4 feeders. Can’t keep them filled. The hummies are so active this year. 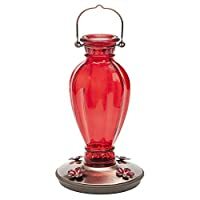 We have one red glass bottle feeder and the others are clear plastic. We have a few varieties of hummingbirds in our area. We only use 2 parts water 1 part sugar. No red food coloring. We are located in North central Illinois. Our first hummingbird that we saw was on May 1st this year. Our feeders were ready! Beth Humminbird experts say to only use 1/4 cup white granulated sugar to 1 cup water. If you use anymore sugar than this it hurts the little birds kidneys & liver. Hmmm…. I wish I could help. Copper feeders are some of the best feeders for hummers. I have many feeders but have read that they do not like change. If you have a type that they go to buy more of the same and they will flock to them. I also keep a partially filled one out in the winter for the Anna hummers that stay year around. There aren’t many, I have six that winter over just be sure to bring the feeder in at night if it freezes so it doesn’t break and put out in the morning when feeding time begins. I live in Ct. near the Ma. line. Should I be leaving a feeder out during the winter!? I’m not 100% sure, but I think hummingbirds will show up around mid march or later in your area. We have had an abundant number of hummers this year. It’s been incredible. We are in SE Nebraska, and only get the Ruby Throated. We had at least 35 hummers at our feeders one day two weekends back. The number has dwindled a lot since then, but still keeping my feeders out. I have never put anything but water and sugar in the feeders. Like the hummingbirds, we will be heading south for the winter, in a few weeks. I will be putting feeders out when I arrive at our winter home. I hope to see the numbers down there, we’ve seen here this fall. How wonderful! I hope they grace you with their presence at your winter home. Please share some pictures if you can. The copper feeder might be out in the sun longer making it hot. If so, try moving it to a shadier spot. Good idea Michelle: thanks for sharing. Bee guards are a must where I live, Northern Arizona. I hang 6 feeders and refill about once a week. Container color makes no difference. No coloring in the food. Have around 30-40 in the spring and throughout the summer. Yes, they can get very aggressive, but the show is worth it.